Description: Bayshore Home Health offers a wide range of home care services that include nursing, personal care, home support and companionship to residents across Canada, allowing them to continue to live in their own homes with dignity and independence. Eligibility: Persons requiring health care services. Description: The Hospice Palliative Care Ontario (HPCO) represents and assists the development, education and enhancement of community hospice services including those services for children. Although services differ slightly by community, most Hospices provide information on available services and programs, education, public information and awareness and public policy development. Hospices also offer emotional support, respite care, palliative care and bereavement support. Eligibility: Members of the Association and the general public who require general information. Information is available to everyone. Staffing: All local hospices comprise of few paid staff and many volunteers. Application: Telephone or written request. 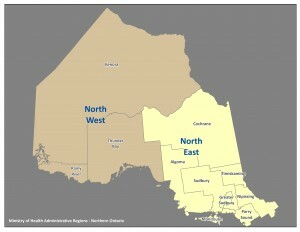 Description: The Listowel Wingham Hospitals Alliance is a partnership between Listowel Memorial Hospital (LMH) and Wingham and District Hospital (WDH).Listowel Memorial Hospital offers a wide range of primary and secondary services to North Perth including 24-hour emergency services, in-patient and out-patient care, specialist clinics and supportive diagnostic services.Wingham and District Hospital is a modern, progressive acute care facility providing hospital services to Wingham and surrounding area including: medical, surgical, paediatric, oncological, chronic and rehabilitation bed, 24-hour emergency coverage and more. Hours: Mon to Fri; 9:00 a.m. to 12:00 p.m. You may leave a message on the answering message and your call will be returned. Description: North York General Hospital, affiliated with the University of Toronto, is one of Canada's leading community academic hospitals. 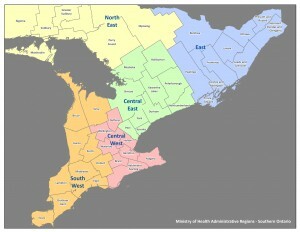 They offer a wide range of acute care, ambulatory and long-term care services across three sites. Description: POGO Pediatric Interlink Community Cancer Nurses extend the care of the child and family with cancer from hospital into the home. They assist in the preparation for the demands of treatment and arrange support and services as required throughout the course of illness. Eligibility: Children and families affected by cancer. Location: Family home, tertiary hospital, school and community. Staffing: Full time registered nurses. Application: Nurse contacts family at diagnosis.